Avgerinos Village is located in a stunning setting in Agiassos Bay, in front of the sea. 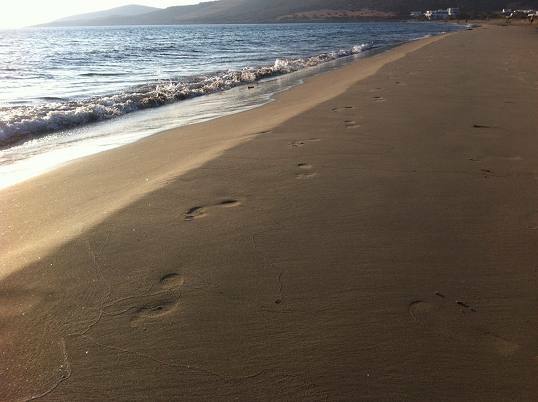 Agiassos is the southern most (on the west side) accessible beach on Naxos Island. It is a quiet place with golden sand and shallow waters, protected from north winds. The verdant hills match harmonic with the azure color of the sea, the peaceful scenery and the taverns which offer good home made food make Agiassos a unique experience. Agiassos can be accessed via either mainland road (Sagri Village) or the coastal road (via Pyrgaki). The mainland road is beautiful and offers an excellent drive. The coastal road includes 4 Km of dirt road.